Waves, steep curves and plenty of surprises – if you’re looking for an exciting alternative away from the common slopes, paying a visit to the to the brand-new Audi quattro funslope in Obergurgl is your best bet! To all those of you who never had the pleasure to ride through a Funslope – You’re looking forward to a mix between a common slope, a cross and a snowpark that is perfectly suited for the whole family. On a length of 500m you’ll not only find fast paced steep curves and wave elements but also highlights such as the huge Fun Twister made of snow, a bridge and the speed boost! 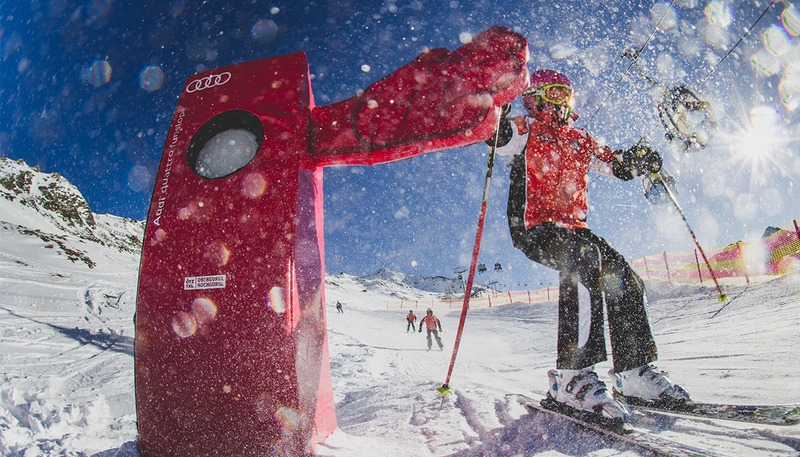 If we have struck your interest and you want to try it out yourself – The brand-new Audi quattro funslope in Obergurgl can be reached conveniently via the Roßkarbahn or the Festkoglbahn. See you soon in Obergurgl - the diamond of the Alps!